Okay, this is a lot to grasp here. 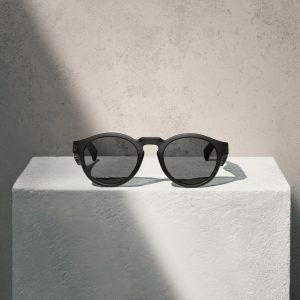 Bose has just announced their anticipated Bose Frames Sunglasses. Isn’t Bose the audio product manufacturer? You’re right. These are no ordinary sunglasses. 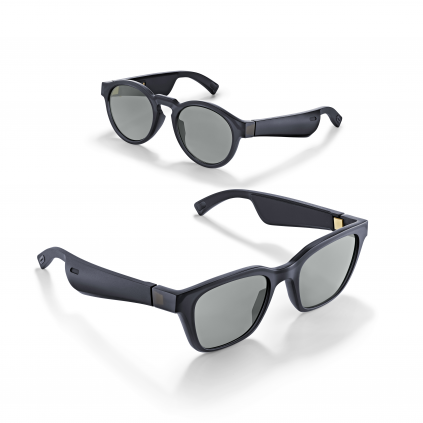 Bose Frames are the very first pair of glasses powered by a groundbreaking augmented reality audio technology. What are the Bose Frames? 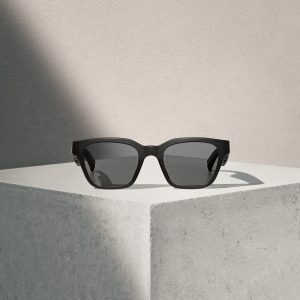 Next to slick-looking sunglasses (take note Snapchat) each arm of the Bose Frames transmits high grade audio into your ears like a pair of wireless earphones. Next to that a very subtle mic and button are positioned at the right temple for pairing your glasses with your phone, controlling audio or giving voice instructions for Siri, Google Assistant and the likes. Once paired with your phone the Bose Frames unveil their true power. In comes the Bose AR technology that transmits relevant audio to your ears with regards to your GPS position. Think directions, information, audio games and everything else you can imagine. It can also turn to be a great aid for blind people needing some AR guidance. Where can I get the Bose Frames?